Glad to tell you that tomorrow on 9:05 UTC there will be Codeforces Round #345. The round is formed of the first day of X Moscow Open Olympiad problemset with several additional problems created for this round. This round is brought to you by the scientific committee of Moscow Programming Olympiads controlled by GlebsHP, romanandreev and your humble servant, and also with a great help of fcspartakm who helped us make a complete problemset of our problems. Note that because of holding the main onsite round system testing and upsolving will be available no earlier than 12:35 UTC. Also we would like to ask you to not discuss problems in comments during the time between the end of the round and the end of the onsite competition. All comments with discussions will be removed and the most active violators will be punished. Thanks for your understanding. UPD Sorry, the round start was moved to 9:25 UTC. It is not easy to run onsite round and Codeforces Round simultaneously! UPD2 You may discuss the solutions! System testing will be run shortly. UPD3 The editorial has finally appeared: http://codeforces.com/blog/entry/43677 Sorry for the delay! And Zlobober's serious work to get the first place in the contrib list!! But seriously though, who holds olympiads on Monday mornings? I can't imagine a better way to start your Monday. too bad difficult to hack! At any other contest time , someone else in the world might have Combinatorics class with Dr jamali (for informatics olympiad) . Ever think about that ? Well, I doubt Dr. Jamali goes around giving Combinatorics classes the whole day, every day. For sure Jamali must take some time to rest, teaching must be exhausting. It could be worse. It is going to be at 6:00 AM in my country. A better reason to leave Lecture :) . Russian contests are always good! Specially when this team( Zlobober + GlebsHP + romanandreev) are authors ! Because every time will be good for some participants and bad for others. This time you had bad luck, other times the contest will be in good time for you and bad for others. i just said its bad for IRANIAN coder! the timing of the contest is probably one of the best timings for competitors from Korea; it's 6pm; an hour or two from now (so, 7pm or 8pm KST) would be ideal. It's 3am on a weekday in the US :P Oh well, better than 10am — at least I have a chance to participate. Looked like it got bumped back 10 minutes though. Really you have badass among your school? All of you didn't understand. My history teacher will surely kill me for being absent(it's sad because I'm a math/informatics competitor, history is one of my worst subjects :)) ). Hey guy ! why so many people got unhappy with you ! All are unhappy with anyone comments in language different from English.. I'm sorry.I don't konw it before. Same — could've gotten 20 mins more sleep. Some of my classes probably are unimportant enough I can use them as nap time though :) Bets it will be delayed 30 mins? My first time to participate a CF round sync w/ onsite.It's cool! Should I compete? Because I am in a Lab class and my teacher gave me an "1 hour break!" for completing the tasks early. what's wrong with the hacking? nothing shows up when i try to hack (sorry for my vulgarity on my previous post). Its because you shouldn't be hacking. Solve problems, go go go! I have a similar problem. Pretests passed but cannot lock! Neither is it showing on the dashboard. But mine is working fine.. It was unuvailable for ~10 minutes. It affected all the participants, so all of you have been in the same conditions. Sorry about it. Wow.It seems that there are many guys who are unsatisfied with the long time of waiting. I wonder, who downvoted the boss??? Some brave and cute guys. WOW! How cute you are! Be careful with what you said.Maybe there's something happening to yo. mike is free to do anything here, did you know that? We all know that.But I am careful to say it out. To be honest,I give him a downvote. I think it is because of unclear statement. Almost sure it is the case if you get WA on pretest #7. Can somebody explain me This ? Whats wrong with my generator . This link takes everyone to their own hack section, not yours. Did you even compile it? Line 20 is missing a semicolon. In an hour from now as I understand (15:35 MSK). We kindly ask you not to discuss problems or solutions since the onsite round is still running. We will notify you when it will be allowed (approximately in 2 hours). Thank you! Мы ещё раз просим участников не обсуждать задачи и решения пока не закончится основной тур олимпиады. Мы сообщим, когда станет можно (приблизительно через 2 часа). Спасибо! UPD Thank you for your understanding! You may now discuss problems and solutions. System testing will be run shortly. UPD Спасибо за понимание! Теперь вы можете обсуждать задачи и решения. Системное тестирование скоро начнётся. When will start testing ? Why disscussing is so important, when everybody can see codes from other participants ? I guess that the onsite contestants cannot have any kind of communication with the outside world.. I can see the other's solutions. Any updates on system testing now ? i still do not understand the problem statement for division 2 D, but judging from number of people who solved the problem, perhaps it's just me who is confused about the problem statement. So, were there edits in the problem text? Let me clarify this. We actually received a question pointing to the typo in the statement (the word "has" was obviously an extra word there) and we fixed that typo. After 1.5 hours of contest we received the second question about the mistake in this problem and we didn't even think that you are talking about that mistype. After all, it was a small typo that doesn't affect the understanding of the problem, and we fixed it 1.5 hours ago, we almost forgot about it. Of course we didn't have any intention of lying to you or whatever. I had not gotten Compilation error and today is first in Codeforces. So i don't know Compilation error well. There is no = operator by default for custom structs. You are wrong. It can be auto-generated by compiler. Yes, there is. In C++11. Ya.. Me too..!! And can you believe, they are asking us to code a solution.!!! I lost so much time in that.! A bit difficult for me.But I'm sure I can do better.hard work will pay off! Also!I'm not in my best condition. I got Wrong answer 2 times in A and C,and 1 in B. Oh my god!I lost 250 point! Even more...the Internet shut down in the contest. Had someone div2 C WA 3? Can't understand where is the problem. Did you check that your code does not count any pair twice? Int can't afford the limit. so you should use long long to record the answer.So did you check it? ohhh, now I've got it. I counted all copies with same y, and then decrease the answer as they all been at same poit. Are you going to upload the editorial after the official contest? It's in the announcement: "Note that because of holding the main onsite round system testing and upsolving will be available no earlier than 12:35 UTC." What is reason that we are still wating. why are you waiting? you didn't participate as I can see. I saw your submission history and found no submissions for this contest. strange! Only GOD knows how much do we have to wait. Round must be made unrated. We couldn't hack or lock solutions for ~10 minutes. Seriously ??? unrated because of 10 minutes not able to hack??? Believe that you'll solve more problems in next contest! Hope to start system test today..
You should also consider teamwork in ICPC and much longer contest time (5 hours). This means more problems can be solved.. So can you see why it requires harder problems to make a good ICPC contest? How effective do you think Codeforces problems are for preparing for the ICPC? Am I better off focusing more on solving on SPOJ, UVa, etc? system testing started ! hold your nerves ! System test is started. Feel free to discuss problems. Sorry for delay. Системное тестирование запущено, можно обсуждать задачи! Приносим извинения за задержку. How long to wait for editorial ? I'm sorry but this will be a round with delayed editorial. All editorials for problems will be posted no later than March 9th, most probably on March 8th evening. You may find brief ideas for the problems by simply asking in comments for this post. When can I view other people's solution? Briefly — after simple math (square, equal, cut) we get that valid pairs have either equals X or equals Y. Put every value in counting dictionary/set/whatever and get sum. I did that but still got WA on 28th testcase. :'( I found all possible pairs with same X and added it to number of all possible with equal Y and subtracted pair which has both X and Y same. I think you are doing multiplication before typecasting here ans += (long long) (k*(k-1))/2; which is why you have overflow. Ohh. Didnt realize it would result in overflow. :'( Anyways Thanks. Yes overflow!!!! I added only 4 characters and got AC. That's overflow. We all know that feel. I couldn't participate, but I have read the problem and I think you can use a hash table (C++ map) for X and another for Y, and count how many individuals have each X and each Y. Then traverse all those keys and for each one, if the count is N, add to a global counter N * (N — 1) / 2, which should be the number of pairs you can make out of N watchmen. Then you should make sure not to count twice or to subtract the individuals which are the same X and Y, which should not be difficult. And as somebody said in another comment, use long long. While it took me about an hour to read, think and code Problem C, someone on earth solved it in 0:01 min.Just saying. Well tourist is a tourist. Welcome to Problem D test 35 . What was the hacking case for A? For B it was int32 overflow. UPD: Damn, I've messed with tasks again. I meant int32 overflow hack case for C.
For Div 2 C it was int overflow. Me too :( F***ing overflow. Why can't I see the tests? I can see solutions of div2 but not of div1! I need some help regarding Div2 C.
I found out the number of distinct horizontal and vertical lines and count of number of points for each horizontal and vertical line. After that simply we can form pairs for each line by using n(n-1)/2 and keep on adding it to the final answer. But I've a problem that this way I can't remove the duplicate points and each duplicate will be added twice in my answer. Use another map to count number of points in the same position (can use map<pair<int,int>,int>), then for each position, subtract the result for n * (n - 1) / 2 with n is the number of points in each position. I used a map<pair<int,int>,int>. You could also sort all the points by (a.x <b.x) and by (a.y < b.y) when (a.x == b.x). After that you can count how much points are equal in O(N). If you code in C++ read about std::map. I didn't use map and got AC with arrays. So, one array of pairs for (x, y), two arrays: one for X and one for Y coordinates. Sort them all, and then you can calculate easily how many of them are with same X or Y coordinate, while tracking how many of them coincide. 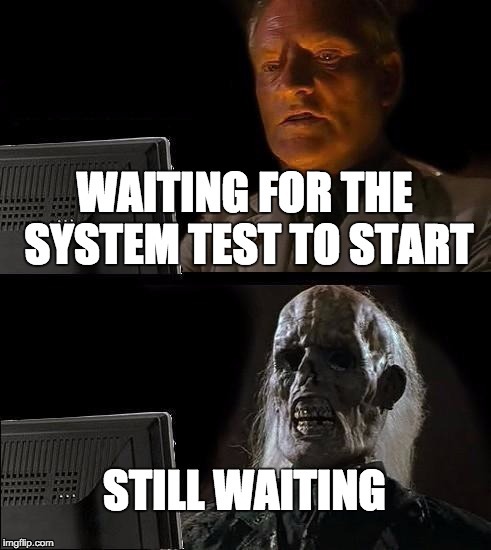 Waiting for system test was like riding a roller coaster for me. And I did have GREAT fun when I knew the results! Congratulations to tourist on his best performance ever — today he got +172, beating his previous record of +162 (which was set back in 2010, in CF Round #8). Feels wrong that #1 person placed #1 in tournament get so much points. Why TooDifficult got only 84? Its 2 times lower. bredor where is your scrincast with russian rap? Today I learnt a lesson, never use scanf with ios::sync_with_stdio(false); cin.tie(0); today it costed me heavily on D.
Why were all my solutions skipped ? Also it seems as if I never participated in the round while I solved 2 problems and 1 more in practice. System shows that I never registered and System skips all my submission. In my previous CF Div2 (#343) round, I managed to solve only 1 problem and had a ranking of 2400. Today I could successfully submit 2 problems and had a ranking of 1700. Which implies an increase of 700. My rating still fell down today. I've no clue as to why is this happening! Well it seems you have participated in too little rounds for your rating to stabilize. Also it is not really depends on the place number, but rather on the amount of participants, their quality (rating) and your relative position among them. E.g. if contest have only 100 participants and you placed #100 — its worse, than if contest have 10000 participants and you placed #8000. But also if in first case other 99 would have rating of 100500 you probably won't lose anything (maybe even get higher), but if everyone of them have rating of 0 you will fell down pretty heavy. Hope you got the idea. What do you love more — Problem Solving or seeing positive rating changes ? The main idea of one of the authors solutions is working with leaves. Consider a leaf u with its edge (u, v) in the first tree. There are two cases: if the edge (u, v) is present in the second tree, it should stay as is and we can contract this edge forming a new vertex uv in both trees. In the other case we should find any of the edges going out of u in the second tree, let's call it (u, w), and replace (u, v) with (u, w), and after that contract u and w. Note that all v, u, w may be contracted vertices and should be dealt carefully (in particular, the endpoints of removed and newly added edge may be distinct though they belong to the same contracted vertex u). This leads to an O(nα) solution. It seems that smth is wrong with Java invocations. If the parameters are set correctly, it should be impossible to get ML in this language: it will be either TL because of long GC, or RE because JVM cannot allocate more memory. However, I've got ML for the following solution 16574238. It consumes at most (1M (input) + 2M + 2M (edges) + 1M + 1M (dsu)) = 8M int's, 1M boolean's, 1M ArrayList's of total size up to 2M, 1 ArrayList of size 1M. In total it is up to (8 * 4 + 1 * 4 + 1 * (8 + 4 + 8) * 2 + (8 + 4) * 2)M bytes, which is way below 256Mb. Of course there are plenty of temporary variables, but they should be safely garbage-collected. Unfortunately it doesn't show me the test, so I cannot debug what's going on there. So the question is, how are memory params (-Xmx etc.) set for for Java on server? If they're set consistent to the problem ML, then MLE verdict should be impossible. Am I missing smth? int churn = new int[50 * 1000 * 1000]; // Allocate <200MB. I remember someone already pointed out in comments that CF uses Xmx 512MB. Also this submission: 16585600 and 16585728 looks like Xmx is indeed 512MB. Can somebody post brief explanation of Div.2 E/Div.1 C ? How to solve Div2 D ? First precalculate how much time it would take to reach from 1st picture to ith picture while doing right swap each time for each i from 1 to n. Similary calculate time to reach from 1st photo to last picture while doing left swap each time. Then for each position from i to n while going right, you have to find the maximum position you could reach on the other side (left), this could be found using binary search. Again the same for left to right. I implemented this too, but I think it's possible to do in O(N), because if you try to find the max position you can reach on left, for each i, then it will be at most the position for i - 1, and hence you can use something like a two-pointer technique (or sliding window if you prefer that analogy) to do it in O(N). Manhattan and euclidian distance between two points is same when at least one coordinate of both the points is equal. You can prove this by equating both equations. Then you can use map to store count of occurrences of each x and y coordinate. Use another map to store count of pair(x,y). You can find answer by adding gC2 for each x and y ( g is the count of occurrence of each x and y coordinate stored in map). However some points may be repeated in the input and so you will add those pairs in the answer twice once for x coordinate and once for y coordinate. So just use the map used to store pair(x,y) and for each point subtract countC2 from answer ( count= number of times given point appears in input). First, let us assume A = |x(i) - x(j)| and B = |y(i) - y(j)|. Then, Manhattan's distance = A + B, and Daniel's distance = sqrt(A ^ 2 + B ^ 2). Solving this, we get 2 * A * B = 0, which means that either A or B is 0. So, all such pairs of points which have either the same x-coordinate, or y-coordinate are to be counted. So, we sort the array according to x-coordinate and then for each unique value of x, if the number of points have that x is N, then we add to the total the value N * (N - 1) / 2 as that is the number of ways of selecting 2 points from all N points(NC2). Then we do the same for y after sorting the array according to y-coordinate. But, here there will be 1 problem that we will have counted those pairs twice which have both the x and the y coordinates same. So, to remove this, for each point having coinciding points, if the number of coinciding points is M, we subtract M * (M - 1) / 2 from the total. Again failed C because of overflow ( lost 1200 points ). What do you do to avoid overflows ? and just use ll everywhere instead of int (except main() type, of course). Speed disadvantages are minor, and at the same time you will get overflow very rarely. Probably on some hard div1 problems (C-E) you can improve wrong solution from ML/TL just using int where long long is redundant. This problem seems unlikely to me on div2A-D, it can happen only when your code is very suboptimal. I'd like to see counterexamples if I'm wrong. PS : the method names are different because I had just removed the unused method solve before submitting again. You have three big arrays: Cross allcrosses, long board and long sum, other are not greater that a couple of MB. It is interesting why it is ML, because maximal size for each of them is 4*10^6 elements, long is 8-byte and Cross is 4+4+8=16 bytes. So total used memory should be ~4*10^6*(8+8+16)=128*10^6 bytes. In theory. Maybe I don't know something about Java to configure the cause of this doublesizing in practice. However, as I said, ML here is the result of suboptimal solution. You needn't store all crosses, only positions and values of the two current best crosses. what's the solution concept? is it some kind of dynamic programming, or is it something completely different? I didn't solve D but I can answer your queries about the problem . You view the images on a phone which is initially in the vertical orientation , so if you encounter an image which is of the opposite orientation than your current phone orientation you need b seconds to change the orientation of your phone . Regarding question C Watchman. Codeforces says wrong answer on test case 3 as wrong answer expected '33', found '39' But my computer machine gives the 33 answer and on codeforces the same code giving 39 answer on 3rd test case ..I also cross check on Iedone.com .It also giving me 33 but codeforces give 39 and hence not accepting answer ....please have a look to my submission no 16580949 or visit my submission ..pls help ..
Did you find any error ? It seems right. In my PC give 33 too. I don't know! Make sure you don't have unespected runtime error. I heard sometimes system give WA but is RE instead (also in ACM ICPC Regionals). By the way, I've found an interesting solution that uses DFS! I don't know whether he'll answer your question, so I'll tell you my version of the story. You see, there are 2 paths for water to go out. The throughput of the lower tap is 1 liter per minute and of the upper tap is also 1 liter per minute. Let's imagine that, when we open both the upper and the lower taps, the barrel will lose 2 liters of water every minute. Now, we'll do the following trick. Let's connect the upper tap with the hose and return that water, running from the upper tap, back into the barrel. On one hand, the barrel still loses 2 liters of water every minute, but on the other hand, the barrel now gains 1 liter per minute from the upper tap. This image clears the things out for me, so I can see that the barrel now loses 1 liter per minute in total. The key moment, I think, is to consider the whole system. That is, how much water (or energy, in the case of the div2A problem) does the whole system lose? If we think about the joysticks as a single system containing some amount of energy, we see that the amount of energy contained in that system is a + b and the system loses 1 unit of energy every minute. I think it is simply a DFS on states! The states are acyclic you can prove it on the basis of transitions( They only take you to larger or smaller number) . Hence the states form a DAG. But there might be multiple ways to reach a state I cannot understand how is he taking care of that! I think if we can prove that the first time we reach the state, the value we maintain is optimal then we can prove his solution! Edit: Yeah If I change that max taking condition to work only when we visit the state at first it gives AC then too. So probably anyone who can prove the hypothesis by me can prove the solution :) Any Red People, correct me if I am wrong? We can notice that: if the remainder abs(a — b)%3 equals 0, it would keep 0 after each minutes. Otherwise, it can change between 1 and 2. For the second case, the final state is (0, 2) or (2, 0). I used a recursive function:16582603. I wonder if tourist is going to reach 4k this month. Just looking at the slope of that curve. Seems like new rating system is more appropriate for those who often takes top1. tourist did the same good for a few last years, but there is no such jumps on the graph like for last 4 contests. Can anyone please explain the idea of Div1/C or Div2/E ? now find every SCC of the graph and create a new graph H in which every vertex is a SCC of G. note that vertices of a SCC of G should have the same number in the final table. now find the topological order of vertices of H(I leave it to you to prove that there is a topological order for vertices of H). the vertices that are not endpoint of an edge(note that since the edges are directed, start points and end points are different), can be assigned value 1. erase those vertices from H and assign values to the other vertices recursively. note that this solution uses O((nm)^2) edges to construct graph G. you need to use some ideas to reduce the number of edges(I leave it to you). I've just found what's wrong but I don't know exactly how to solve it now. I may have an idea but the code is already very hard to understand and it's very complicated what I want to do. I think I'm going to quit. Still, badass, can you tell me what is your idea? (BTW, I guess you've just found a new nickname :)) ) Actually, I'd like to hear ideas from anybody about div1D. It seemed really nice at the beginning(the answer is either M — 1, M or M + 1 where M is the maximal length of a maximal increasing subsequence). Now I've tried to check whether is M + 1 (this was easy). Now I have to check if it is M — 1 or, if not, to print M. But my idea for checking whether M — 1 or M is a solution is very hard and I'm almost sure that this is not the solution. Let the length of longest increasing sub-sequence(LIS) in original array(before any update) be S.
we need to find for each element in the array whether it's included in at least of the LIS or not, and if yes does removing it will decrease length of LIS by 1 or not. it's clear that if L[i]+R[i]-1 == S then element i is included in at least on of LIS, now how to know if we remove i then S will decrease or not? Need some help with problem C Round 345.Any editorial soon?? At first, solve it mathematically. Result solution: We must to calculate count of x-coordinate and y-coordinate repeats, and calcuate unique combinations PROFIT! plz explain me what it says,, i am trying to read from first or reversly,,is it possible to start from center? There are many details in this problem which need quite a bit of careful handling. You can find the cases where your program gets WA (either in the system test or created by yourself) and think it over, or take a look at others' code. The announcement has div1 tag only. Can you tag div2? Guys, please publish the editorial !!!!!! thanks... How silly I am..